Winemaking may have been the legacy of Benedictine monks in Medieval Europe who were also the nominated guardians of vines and cellars. But the original progenitors of wine - they are nowhere close in proximity. A journey to trace the wine lineage took me to studying Chinese history and it has been startling to learn that wine has been made in this country since 700 BC or probably even before this era! History has it, that the modern-day Vitis Vinifera, from where the grapes for wines have originated, in fact, had been already planted in China about 25 million years ago in regions such as Xinjiang! Equally what went unnoticed were the free movement of saplings that used to take place from Central Europe centuries ago. The wines made from these vines have been served to the nobles of the Han Dynasty as far back as 200 BC! What’s more, the Tang Dynasty’s cultural and literary artefacts also show evidence of wine being served regularly, which also co-incidences with a pioneering phase in the commercialisation of wines. It is during this Dynasty that innovations in fermenting and distilling led to development of more practical style of winemaking using their staple crops and the more widely grown and accessible grains in China, such as rice and millet, which is how Baijiu (the transparent white wine) and Huangjiu wines (also called yellow wines) have come to become so popular since the medieval period in China. These new styles derived from grape wines apparently! Fast forward to 1900s, the first Changyu Pioneer wine company was formed by the Chinese businessman, Zhan Bishi who made it his mission to propagate and promote Chinese grape wines. Longyan and Cabernet Gernischt (originally Carmenere) are the two grape varieties, that had more advantage than other modern delicate grapes. These grapes are evidenced as weather resistant and prolific varieties that were used to make commercial wines in the mid 20th century in China when winemaking started becoming common. It is only after 1950, that Grape Breeding institutes and Botanical Garden Institute of Beijing started doing some comprehensive research on what can and cannot grow in China, which is when international varietals started coming under the spotlight. Given China’s propensity to create anything, it is not a surprise that the country is only scraping the surface of its untapped wine production and supply economy, which is booming thanks to a never-ending appetite! Fed by European Joint Ventures in the late 20th century, China has since 2000 re-modelled its wine industry, using improved technological know-how from Europe. Among the oldest wineries here are the historically successful wines that first started in Hebei and Shandong, around the regions of Beijing (northeast of China). It is here that Marselan was resurrected in 1970-80s at the Beijing’s Agricultural Research Institute. 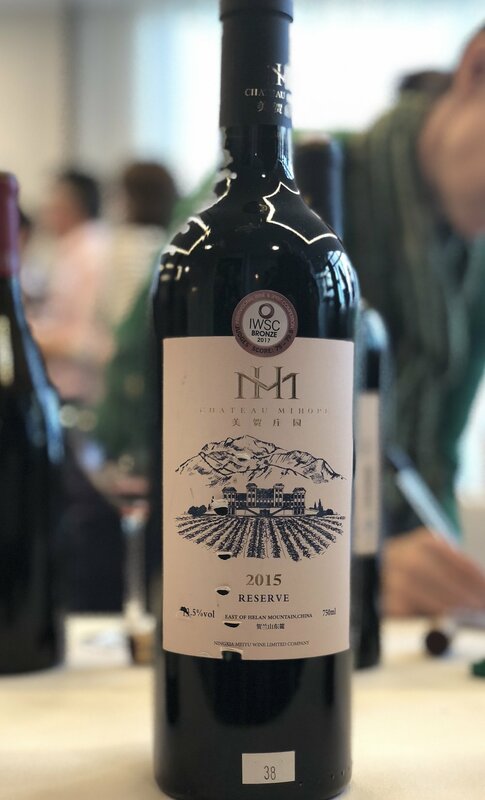 A cross between Cabernet and Grenache, Marselan has become synonymous with Chinese wines as a flagship grape with many producing simplistic entry-level wines. Then in 2009, Bordeaux's first classified growth, Lafite Rothschild entered into Joint venture by investing in vineyards in Shandong to produce quality age-worthy Marselan, which over the years has been showing promising results in terms of raising the bar for Chinese wines in the world market. Thought to be disease resistance, Marselan can withstand temperature fluctuations far better than its parent grapes resulting in deeply aromatic wines with high fruit and tannic intensity. These sparks that came about at the end of the 20th century have immensely helped ignite the interest and brought in style in Chinese winemaking. CHINA WINE APPELLATIONS – TOO EARLY? Although Appellations are too early to earmark, few provinces or zones have been carved out informally. The talk of the town is the former province, now an Autonomous Region, Ningxia in the heart of China (just south of Mongolia). 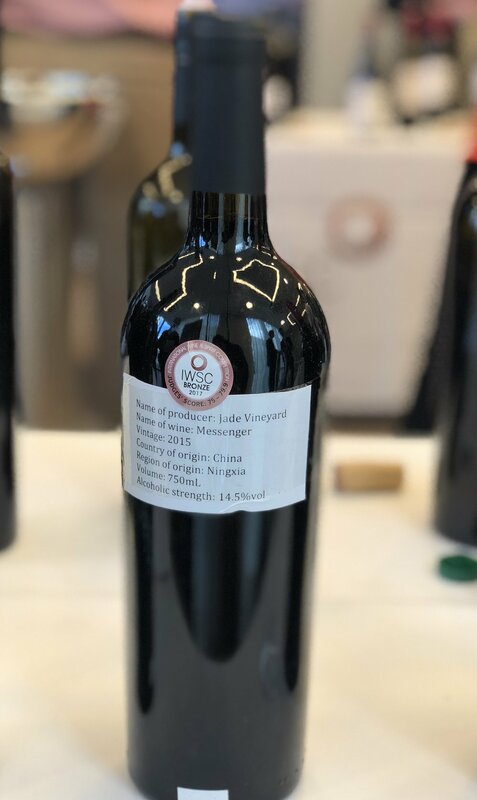 Ningxia’s wine economy has been progressing substantially faster than the rest of China, through massive backing from the government in the form of aids and infrastructural support. Is Ningxia the key to take China to the international wine forefront? To learn more, I met with Lenz Moser. Not surprisingly, a host of multinational commercial brands such as Pernod Ricard and LVMH have marked their presence by entering into alliances with Chinese companies and investors, a route that seems to be the most attractive and practical way to enter the Chinese market, one that is fraught with complex political processes, cultural hierarchies, economic and language barriers. When asked about Vintage Variation, Lenz observes and agrees “Yes the climate in China can be harsh and sometimes winter is prolonged and difficult. 2014 was not the best vintage and nearly in every wine of the vintage one can sense the green and stalky notes. But you will not say the same about Vintage 2015, now that was a terrific year with ample sunshine and low and manageable frost and snow. We are now recognising advanced styles of winemaking and vine cultivation which is China-centric” He inspired me to do a vertical vintage tasting within each individual producer which indeed revealed that not only is there a variation between vintages in China, but as years progress, winemaking styles are also getting increasingly refined. A good Chinese vintage should be ripe with a high intensity of fruitiness, bold tannins with an almost meaty brambly structure. Most of the reserve wines are generously alcoholic with abv touching 16% and it is this rapturous density that emanates as a common theme creating the “Chinese wine character”. Where the finesse comes is in through the judicious use of oak to keep the wine elegant, polished and consistent throughout the palate. Shanxi is another region towards the north of China with loess soils and impressive gradient in its plateau (that juts out as an extension of Taihang mountains ) that has helped vineyards such as Grace and Rongzi to start up their venture there. 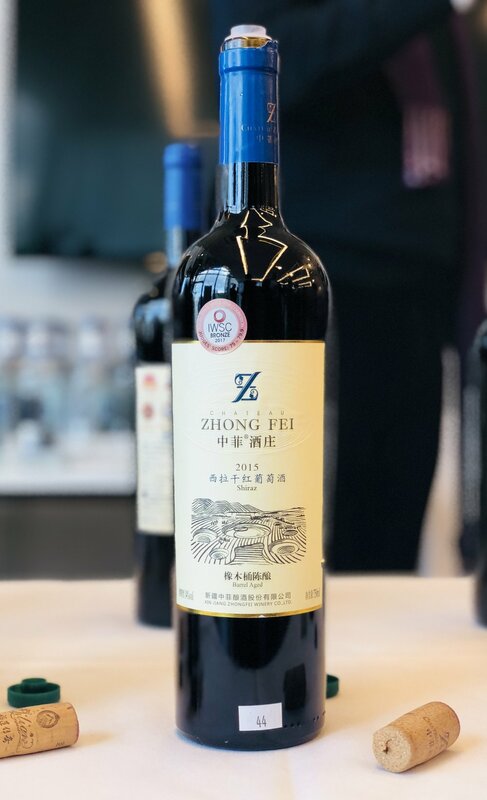 Rongzi has enlisted the help of Jean Claude Berrouet (the highly respected winemaker of Chateau Petrus who has been commended as the "Winemaker of 2018" by the Institute of Masters of Wine) to add altitude and terroir qualities to the wines. To its west is the upcoming Shaanxi region, where Jade Valley vineyard started wine production in 2000, the grapes bring sourced from the south-facing slopes of the imposing Qinlin mountains. 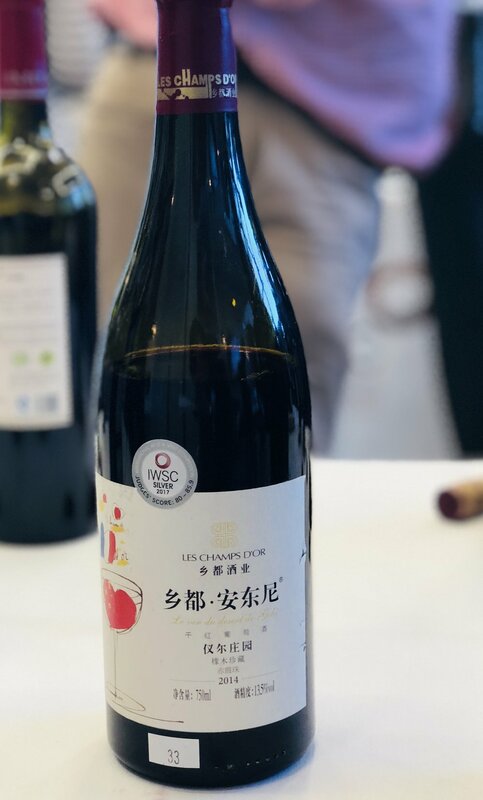 I attended IWSC’s (International Wine and Spirits Competition) first Chinese tasting in March 2018 where they revealed the medal winners of 2017. Having been part of the judging panel for Chinese wines in 2017, levels of excitement were high in me. I remember tasting and rating multiple wines blind and coming out quite impressed with the imminent potential of not just dry but also the off-dry and sweet ice wines. Going back to see the names of the producers we had identified and medalled, gave me immense pleasure and pride. As an Asian, I am aware how challenging it can be to create wines (and that too competitive styles) in this part of the world. A rare chance to taste 50 Chinese wines and that too, medal winners....it made me feel like a kid in a candy store! 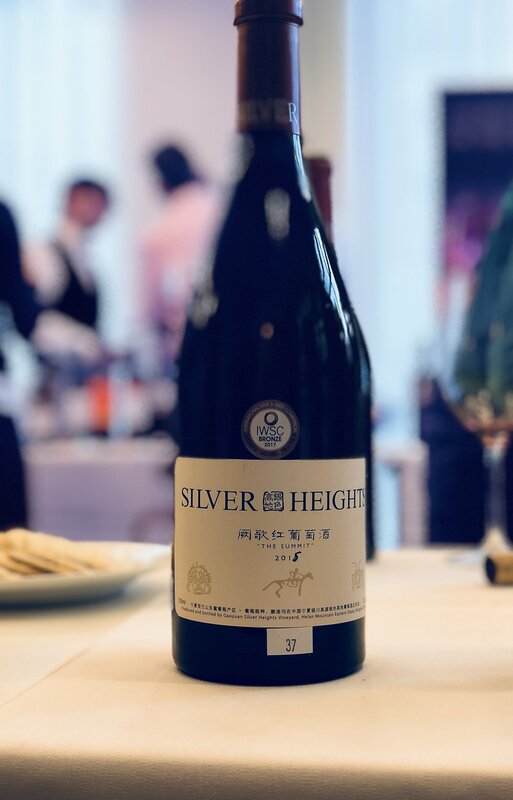 Notable names were producers like Silver Heights Winery (Winemaker Emma Gao) who keep their wines restrained while some producers such as Jade demonstrate a more robust and plush style of winemaking. What came out of this tastings for me? That these 50 medal-winning Chinese wines are just the start for China! 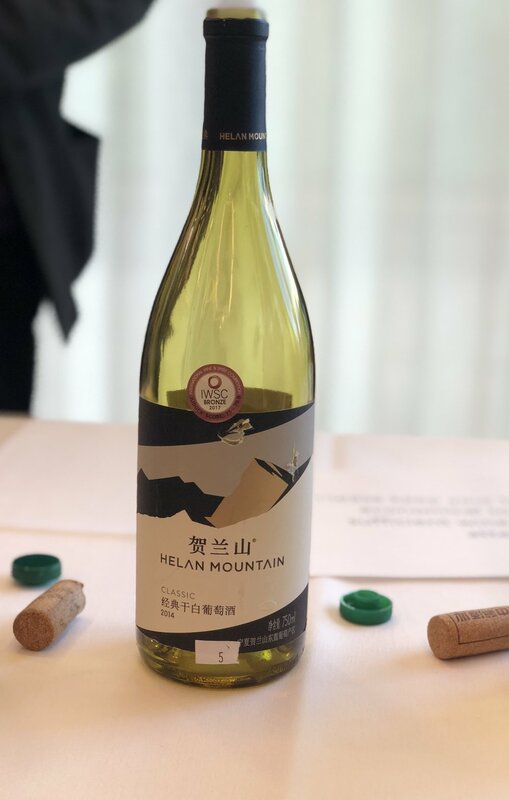 Lenz was excited to see the number of wines winning medals and commented “I will be delighted to submit our Changyu-Moser samples this year as I am keen to demonstrate our style of wine which is quite distinct. I have worked hard to understand the Chinese terroir and the more I work in China, the more I believe in Chinese wines”. Lenz’s determination demonstrates a new phase in his wine career, one that is expected to grow in leaps and bounds, And we surely wish him and every Chinese wine estate good luck in pursuing their passion. According to Drinks Business, the volume of wines imported into China in 2017 was estimated to be USD 2.7 billion which was twice as much as that in 2013 showing the massive appetite for wine consumption in this part of the world. Already slated as one of the biggest importers of wines from around the world, it is not too long that China will also become one of the key players to dominate the worldwide wine production market. While figures vary, China today ranks in the top 5 in the world today, when it comes to surface area of grape production, ranking above France as well! Lenz believes, “it is only a matter of time that the inevitable will happen. China has a lot of table grapes and can pace up clearing and replanting if need be, to take up the position of being the topmost producer of wine in the world and that day is not far off.” Lenz has been observing the transformation of the wine industry and his view is that “Last 3-5 years have indeed been hard work in China as all we have been doing is trying to work towards a quality and class in order to put the Chinese wines on the world map.” Innovation is important in this process and apart from enlisting hardy varietals such as Marselan, new styles of wines are also being tried out. In 2015, Changyu Moser XV also pioneered the first ever White Wine from the red grape Cabernet Sauvignon. 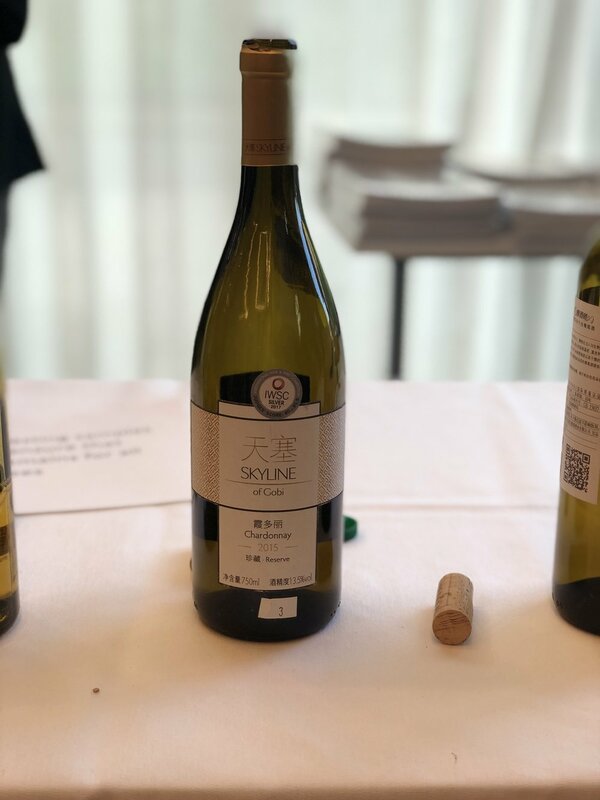 Named as White Cabernet, the wine has been the talking point in the recent ProWein Trade Fair 2018 especially at the exhibition’s Food and Wine demo pairing with Peking Duck that was hugely applauded, showing the potential of Chinese Wine pairing with Asian Food. With a promising future and active backing of provincial governments, it is now "go full throttle" for China. The Chinese wine industry is expected to grow exponentially but not without it's fair share of challenges. 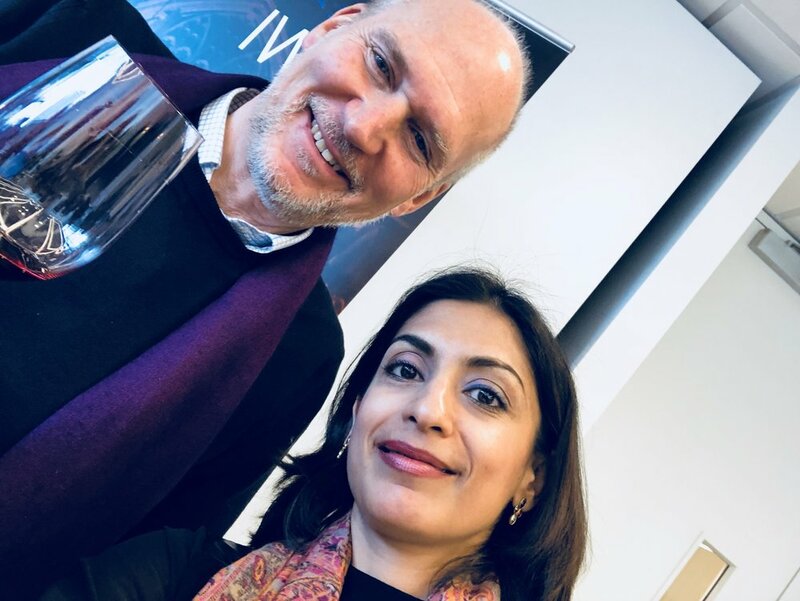 “We are aware that wines made in the contemporary regions such as Shanxi and Ningxia are very expensive,” adds Lenz, “the cheapest entry point wines is Euro 25 and prices go all the way to Euro 150 and so making them price-competitive is important to ensure continued sales growth”. Changyu Moser XV wines are available in restaurants at The Shard, Mandarin Oriental and Dorchester. Berry Brother and Rudd also stock Changyu Moser Second Reserve Wines and Changyu Pioneer Wines should you wish to buy these wines from retail and cost anywhere between £20-£60 in retail. However, the Moser XV Cabernet Sauvignon wine by Changyu Moser XV from Ningxia is priced more economically (£8.50) and have been available in supermarkets such as Sainsbury and Tesco since 2017.